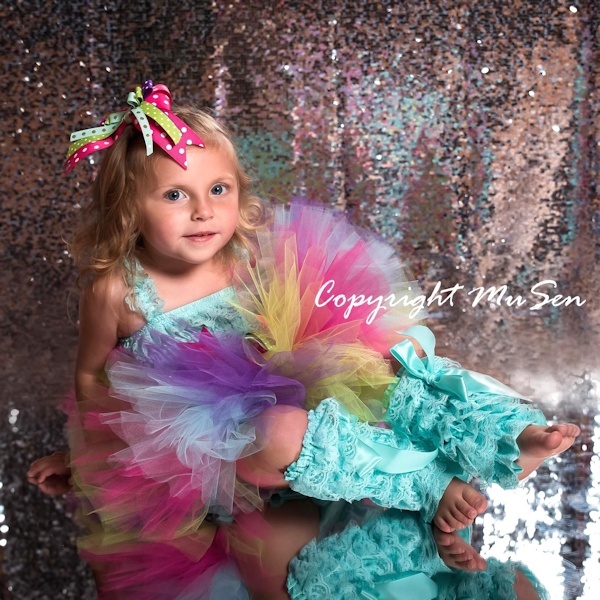 The Pinwheels and Posies birthday tutu features aqua, hot pink, purple, and lime green tulle. 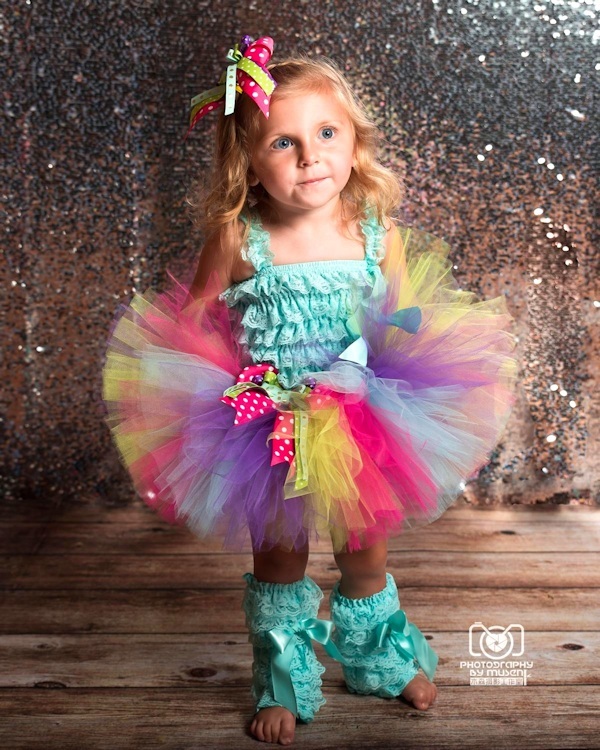 Tutu includes a fun polka dot layered bow clip at the waist, and optional matching headband. 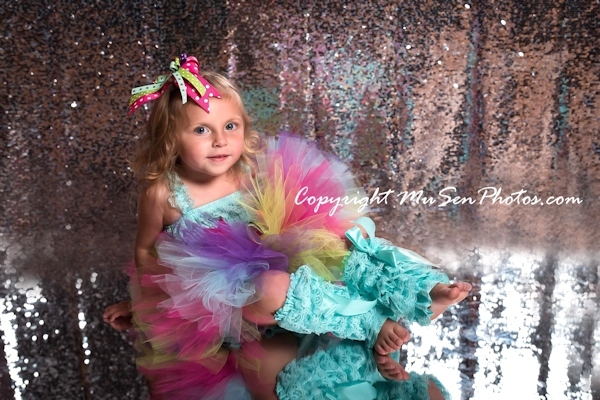 This tutu is perfect for a first birthday, milestone or cake smash photo session tutu, or summer portrait tutu.